The appearance of the skin is the “first image” that others have of us, A healthy skin is the sign of: healthy body, it boosts self confidence gives good look good & makes you look attractive .But apart form that it plays a vital role for proper functioning of our body. Sensory organ - it is one one the five sensory organ of our body, we can feel the touch , pinch, hot & cold sensations because of our skin. Blood purifier - skin purifies blood through millions of its glands , and the impurities comes our in the form of sweat and dirt through skin pores. Protective layer- skin acts as protective shield against the outer world and saves the soft inner organs form damage. Temperature Regulator- it helps to regulate the temperature of our body, in summer it sweats more to give a cooling feel, in winter it shrinks its pore to minimize the heat loose form our body. Sun Guard- On sun exposure the epidermis produce pigment melanin that shields the other cells of the skin from sun damage, that cause tanning ,the Melanin absorbs UV radiation and blocks free radical generation, protecting the skin and inner organs form from UV ray damage. Hydration-The skin barrier regulates hydration and maintains water content in the skin. Normal Skin - this type of skin is neither dry nor oily. it has soft and smooth texture.This type of skin shows signs of ageing earlier than other, daily care like cleansing , toning, moisturizing is essential. Oily Skin- in this type of skin the oil producing glands is highly active , which gives skin a oily shine, the pores are enlarged and skin has a coarse look.This type of skin is more likely to get pimples , acne and blackheads. Oily skin needs special attention , cleansing at regular interval is required , at be time do proper cleansing either with face-wash or cleansing milk meant for oily skin oily followed by must toning to shrink the enlarged pores and that is to be followed by light moisturizer in winter , but do not use more moisturizer in other season if it is not required . Dry Skin- the dry skin lacks both moisture an sebum.The skin looks fine, transparent, patchy and fragile. it flakes easily. certain condition makes dry skin even more dry, such as , exposure to sun , wind, air conditioner, room heater. As a regular care , try to avoid face wash , instead use cleansing milk for cleaning, and do regular moisturizing, do not forget to use sun guard while out under the sun. 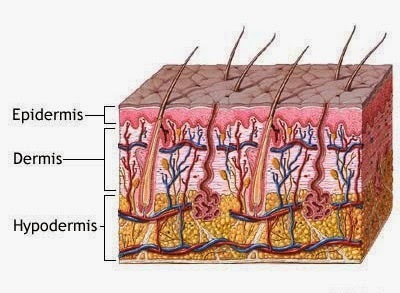 Combination Skin- this type of skin has oily area while rest of the skin is normal or dry, usually the T zone forehead. combination skin is very common, this type of skin needs separate care for each zone depending upon the skin type.